How do I know if I need a Call Center Solution? The call center is your central point of contact with your customers and prospects. That’s why AML Communications of Atlanta offers a broad range of call center solutions – addressing the needs of call centers from very small to very large; from loosely structured groups with informal agents to organizations with dedicated agents; from call centers with straightforward applications serving single customer types to those with complex applications serving a wide variety of customers. Do you need a better way to contact and support customer contacts? AML Communications provides powerful, fully-integrated systems to address your call/contact center’s communication needs. Are you trying to evaluate your call center’s performance and plan for the future without adequate statistical information? Our management information systems offer detailed information on agent productivity, system performance and performance of the contact center as a whole. This data can be used for real-time productivity management as well as creating the historical foundation for analysis and planning. How do your customer’s perceive your call center? Our call center applications can help you improve that critical first impression by increasing customer access options and alternatives, streamlining customer transactions and creating a closed-loop system with contact follow-up. 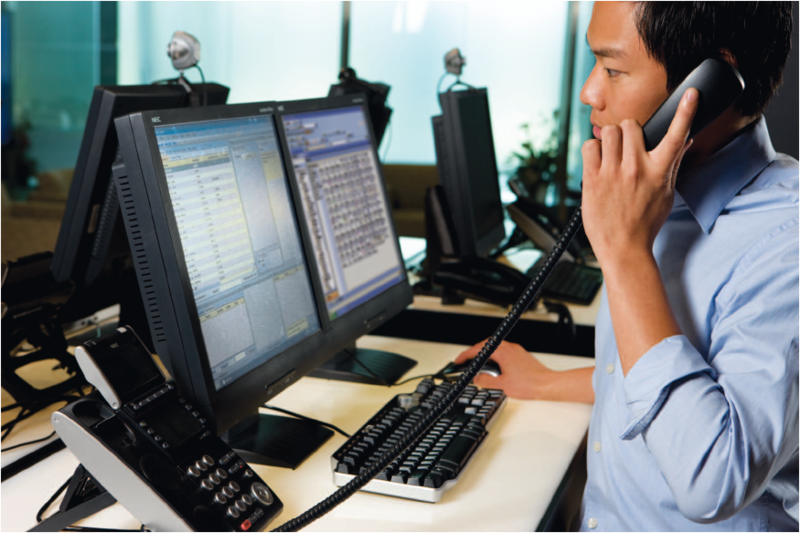 Could your call center be more efficient? Could it work in a more cost-effective manner? AML Communications expertise and NEC’s products and applications for call centers enable you to enhance saels and service agents productivity; implement workforce management for forecasting, scheduling and tracking schedule adherence; streamline your processes, procedures and reporting through workflow management; and support the performance supervision critical for evaluation, quality assurance and training. Do you offer your customers a choice in how to contact you? Can you maintain consistent functionality and information regardless of the media type used? We support customer loyalty initiatives with multimedia access technologies, allowing you to create consistent customer handling combined with the ability to prioritize customers and customer contacts for preferred or expedited handling. The wide range of products, applications and services available from AML and NEC are designed to provide call centers with a framework that enables exceptional customer service and supports organizational efficiency. Our solutions address your most important needs: increasing your ability to respond, measuring performance, enhancing customer satisfaction, increasing management effectiveness and developing customer loyalty.